Writing is my passion. I’ve enjoyed writing since I was a little girl, and always envisioned that someday I’d write a book. I’m now the author of my own self-published book: Anxious Mom, Anxious Child: A Mother’s Journey from Anxiety to Serenity. DREAMS: There is something about them. I used to write about everything. I used to write about my dreams of the future, or about my days at school or the boy I was “in love” with. I also used to write poetic lines about my most intimate feelings, I’d hide and write about my happy moments and the not so happy ones. Journaling is a wonderful practice, it helps you dump thoughts that you’ve been carrying around and when you are done, you feel a lot lighter. However, as years went by, journaling became a bit of the same, I wanted to write about one “big” idea, but I figured I didn’t have it yet. And since I didn’t have the “big” idea yet, I kept writing in my journals for years. Inspiration comes and goes, the muses choose when to visit depending on their mood, or should I say: depending on MY mood? I knew the time would come when they’d visit and stay for a while, I didn’t know when that would happen. I just went with the flow. It wasn’t until the message came clear to me on a winter morning not too long ago that I knew it was time to get serious about writing my book. Only then was I able to allow myself to be vulnerable enough and brave enough to write a story that truly represented what my message was about. From that moment on, and for weeks, I’d wake up at 3:45 a.m. or at 4:15 a.m. spontaneously. The nudge on my shoulder saying softly: “Escribe, Ada.” (Write, Ada). I’m so proud to be able to share my experience and insights with the world. Visit my page on Amazon here and get your copy today! 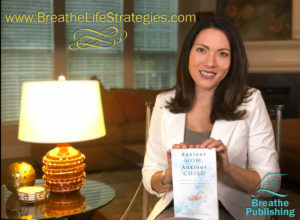 Adacelis (Ada) Perez is an Author and Book Coach. She lives in Atlanta, Georgia.